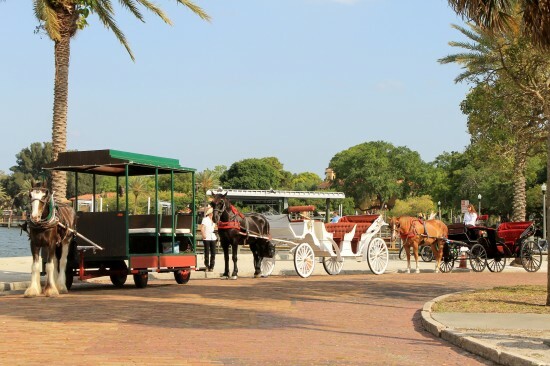 We provide tours of downtown St Petersburg, which can last for as long as you like. We pick up and drop of at many locations in the downtown area. 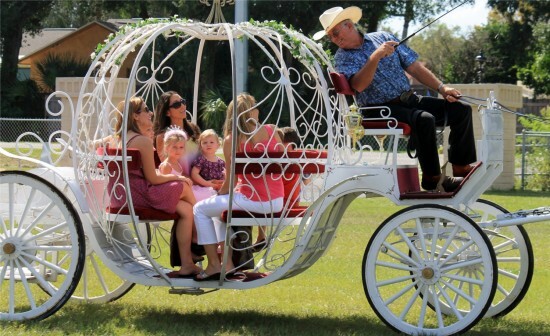 We will all take our horses to you for events like weddings, birthday parties and other special occasions. The goal is to make your day memorable, by providing top service to you and your guests. Feel free to look at our website or call for more questions. Hope to here from you soon! My name is Addin Ajucum and I'm getting married, my girlfriend would like to use a horse carriage, I would like to know what the price or method of service. 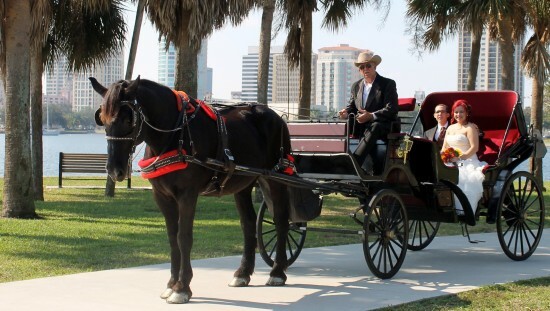 I am so happy we choose St Petersburg Carriages to be our transportation to and from our wedding! They were very professional and timely in all aspects of our wedding. I have the pictures on our wall now! What makes them great is anytime i am downtown i can visit Duke and be reminded of our day. A few weeks ago was our one year mark. 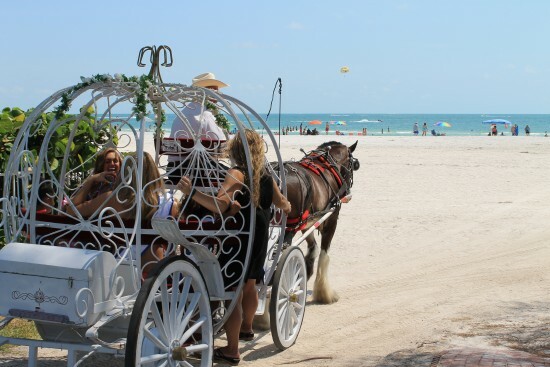 And we were able to hop on board the same horse and carriage that brought me to my husband to be on our wedding day one year ago. How romantic! The experience was perfect. Henry took us to and from our wedding. 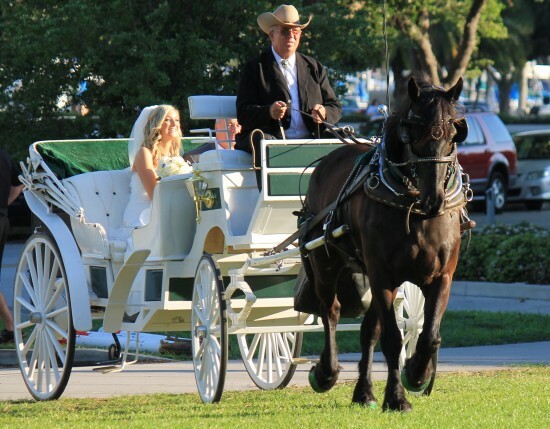 This made our wedding night, would not have choose any other way to travel and would recommend St Petersburg carriages.